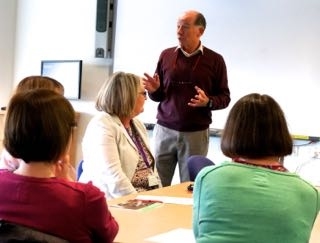 As a National Teaching Fellow and a Senior Fellow of the Higher Education Academy with a doctorate and several publications in higher education practice, I have a strong profile in learning and teaching in higher education. I have worked in HE for over twenty years, and have led institutional work on curriculum internationalisation and the educational development of academic colleagues. I have been programme leader for a Postgraduate Certificate in Higher Education, a Postgraduate Certificate in Academic Practice, and an accredited institution-wide CPD scheme for academic staff. I am currently researching conceptualisations of learning among academics in diverse international contexts. Other pages describe in more detail my experience and the workshops and consultancy services I can offer.